Update: Congratulations to Katelyn Sweet on her #BetterHalfDash win at Charlotte Motor Speedway. Katelyn Sweet Wins; Paige White takes Second; Haley Dillon finishes Third. 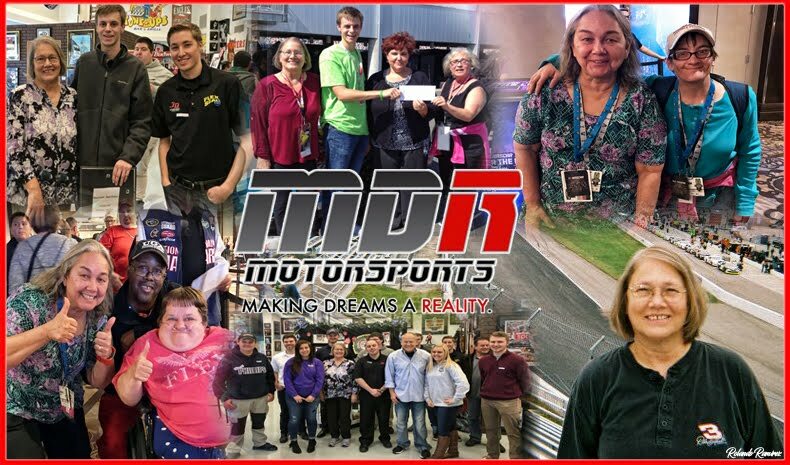 The event, which featured 10 competitors, raised more than $70,000 for the Motor Racing Outreach, Speedway Childrens Charities and the other charities selected by each competitor. Better Half Dash presented by Nature Made #BetterHalfDash The 'Better Half Dash' will highlight today's #NASCAR's Events at the Charlotte Motor Speedway. 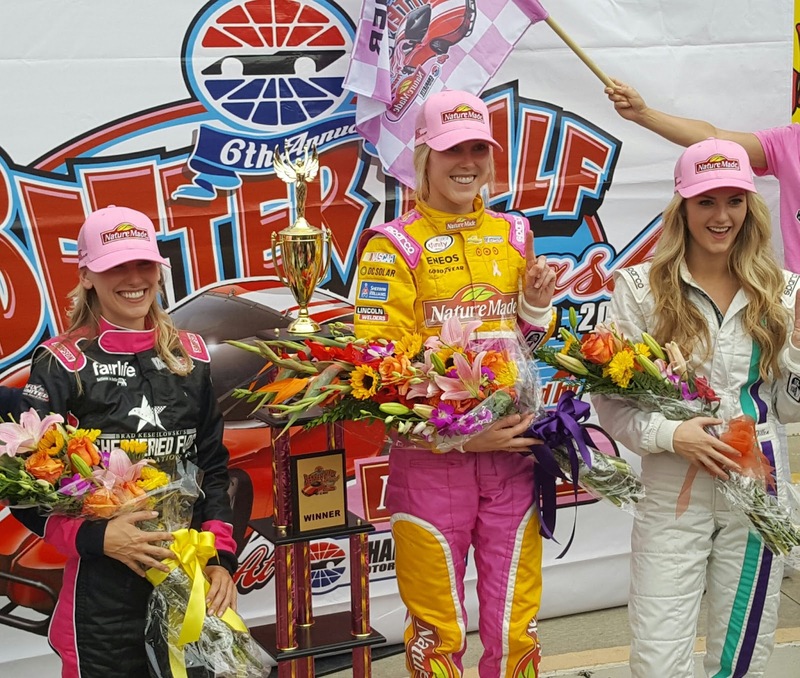 The Better Half Dash presented by Nature Made is a Twenty-Five-lap Bandolero battle among NASCAR wives and girlfriends. The green flag drops during Bojangles’ Pole Night tonight. This no-holds-barred donnybrook of dames supports great charities including Motor Racing Outreach and Speedway Children’s Charities. 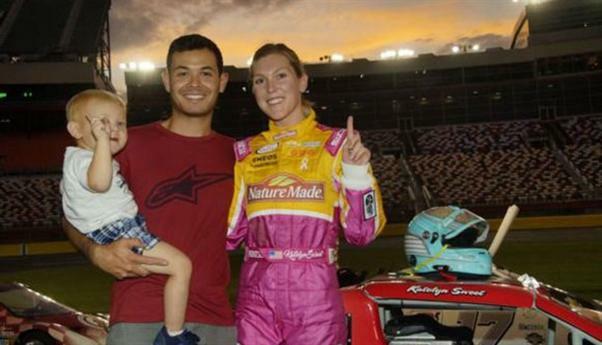 Katelyn Sweet used second-hand advice from her boyfriend, NASCAR Sprint Cup Series driver Kyle Larson, to blister the frontstretch quarter-mile at Charlotte Motor Speedway on Monday and post the fastest time in qualifying. Her 20.081-second lap topped Brad Keselowski’s girlfriend Paige White by .063 seconds. 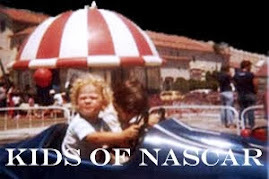 • Jessica Nichols, wife of Team Penske tire specialist Dave Nichols (Joey Logano Foundation): 21.544.